Disney has unveiled the first details for their upcoming Monsters Inc. TV series, which is set to debut on the studio's upcoming streaming service, Disney+. 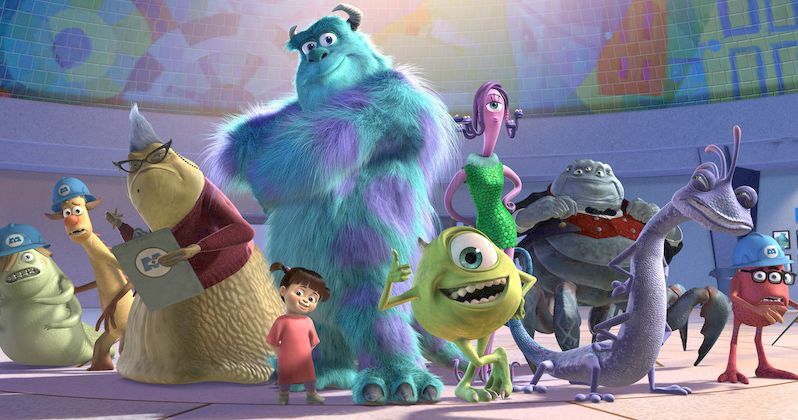 The series, titled Monsters at Work, will bring back much of the original cast from the beloved 2001 Pete Docter-directed Pixar hit, as well as some new cast members who will have important parts to play. The series will also officially be a sequel that takes place months after the events of the original movie. Does this mean we're finally going to see what happened with Boo? According to a new report, Monsters at Work is set to debut on Disney+ in 2020. John Goodman and Billy Crystal will reprise their roles as Sully and Mike Wazowski, respectively, with John Ratzenberger (Yeti), Jennifer Tilly (Celia) and Bob Peterson (Roz) also on board to return. New cast members include Ben Feldman (Superstore), who will play the lead character named Tylor Tuskmon. Other new additions include Kelly Marie Tran (Star Wars: The Last Jedi), Henry Winkler (Barry), Lucas Neff (Raising Hope), Alanna Ubach (Coco), Stephen Stanton (Star Wars: Resistance) and Aisha Tyler (Archer). Monsters at Work centers on Tylor Tuskmon, an eager and talented mechanic who works with the Monsters, Inc. Facilities Team. He dreams of working alongside Mike and Sulley, who are now busy collecting laughs instead of scares. The series picks up six months after the original movie. Some of the other new characters include Val Little (Kelly Marie Tran), Tylor's lifelong friend and confidante, Fritz (Henry Winkler), described as "the scatterbrained boss," a plumber named Duncan (Lucas Neff) and a strict rule follower named Cutter (Alanna Ubach). Stephen Stanton will play two roles, the custodial team of Smitty and Needleman, with Aisha Tyler on board as Tylor's mom, Millie. This is another huge title for Disney+. The studio has been working to mine its most popular properties for marquee content that can attract subscribers. Disney is looking to compete directly with Netflix and shows like this will help to accomplish that. Other big projects in the works for the streaming service include The Mandalorian, the first ever live-action Star Wars TV series, as well as a live-action Lady and the Tramp remake. There are also going to be several live-action shows connected directly to the Marvel Cinematic Universe. Monsters at Work is produced by Bobs Gannaway and Ferrell Barron, with Kat Good and Rob Gibbs set to direct. Pixar produced a prequel titled Monsters University in 2013, but it's been nearly two decades since we left off with Mike and Sully after their adventure with Boo. Disney streaming is set to launch later this year, but no price point or official launch date has been set. The company will present its plans for the service at an investor conference on Thursday, at which point we'll surely learn a lot more about what's to come. This news was first reported by The Hollywood Reporter.